For many, ambivalence is paralyzing. The ups and downs, the back and forth, it seemingly never ends. Often times, the struggle for clarity leads many to a place of hopelessness and despair. The good news is there is a way out. A commitment to change and a desire to change are not the same. Commitment carries me through on my path of change long after my desire for change has faded. It certainly doesn’t mean there’s not another part of us that wants something else. I may guarantee you that I’m going to do what it takes to lose weight, but that doesn’t mean there’s not a part of me that really wants to skip working out tonight and eat chocolate cake. To What Are You Willing To Commit To? About this time, you may be asking me, “well Rick, is there any way out or through this ambivalence?” There most certainly is. Tell me about the voice that tells you to save your marriage, what is it saying to you? Tell me about the voice that’s telling you to end your marriage, what is it saying to you? A truth I tell clients on both sides of the line of infidelity is that “YOU cannot want it more than your mate wants it.” You have to come to a poignant stage of recovery called acceptance. As long as you live in denial you can never face what’s eating at you, attempting to get you sideways in this whole thing. When you can accept both your ambivalence and possibly your partner’s ambivalence, you are one huge step closer to finding healing, clarity, and possibly restoration. Without accepting this ambivalence on both sides of the equation, you remain paralyzed by the fear of making a mistake or choosing the wrong person to bank the next 50 years on. If I’m the unfaithful spouse and I want the marriage and my mate doesn’t know if they want to be married to me, I may be mad they won’t make a decision. They don’t want to make a commitment. But, I could also know it’s going to take 18 to 24 months before they know. Why would I rationally expect them to know right now? It’s going to reasonably take that much time before there will be a major sense of clarity. 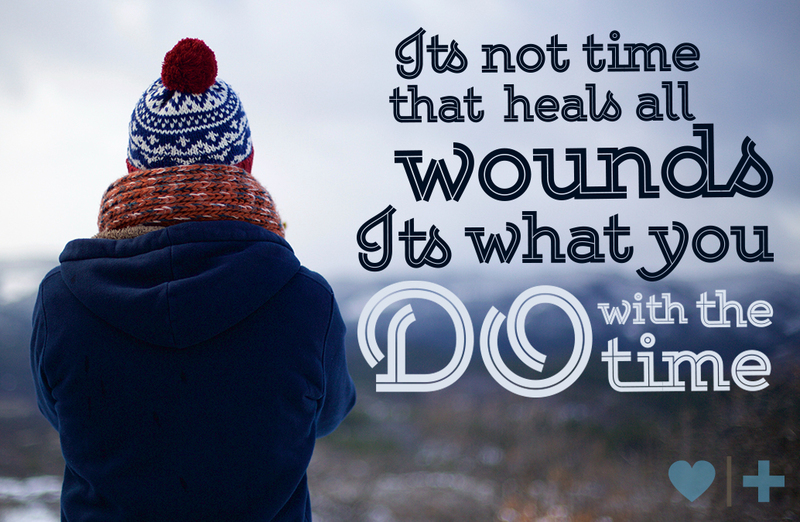 Leslie Hardie, co-author of Harboring Hope often times says, “it’s not time that heals all wounds; it’s what you do with the time.”2 Truer words in recovery have not been said. I encourage clients on both sides of the line to make a strong, definitive, short-term commitment NOT to commit either way to the marriage, but to instead commit to the work of recovery. If I focus on the work I need to do for myself, then I’m free to work on me. I’m free to visit all possible outcomes. I’m free to find new pathways to self-respect, dignity, and healing. If I’m constantly re-evaluating not only my options, but my spouse’s options as well, I’m paralyzed. Paralysis leads to anger towards myself for my own ambivalence and possibly anger towards my spouse because of their ambivalence. I’m then an emotional ping pong ball, stuck between the paddle of certainty and ambivalence and no one is suffering as badly as I am. If I free myself from the chains of having to make a decision now I create space to do recovery work. I can not only work toward possibly healing the marriage, but also work toward healing for myself. If you are the unfaithful spouse looking for clarity and healing for yourself in your own situation, and a way to hone in on your own understanding of what recovery means for you, I’d highly recommend you consider Hope for Healing as your next step in recovery. Miller, W. R., & Rollnick, S. (2013). Motivational Interviewing: Helping People Change (3rd ed.). Guilford Press. Hardie, L., LCSW, & Haney, J. M., PHD, LPC. (2008). Harboring Hope. Austin, TX: Hope For Recovery. It would be so valuable to have more articles for those of us who were betrayed and our spouse had absolutely no remorse or desire to stay in the marriage. I have seen only a few of the hundreds of amazing articles on dealing with these issues. Having a spouse who was once loving abruptly turn into a monster I didn't know is extremely hard. Worse, I was bedridden from a chronic illness (our son was sick too) and over 18 months, he spent over $60,000 on first class travel, luxury hotel rooms, dinners and gifts for a direct report at work. He hid and stole money - millions of dollars and basically refused to pay my son and I, even though we couldn't afford our medical treatments. I was too sick to do much about it, even though a knew. More needs to be said to those whose spouses have no remorse, never apologize and leave for their affair partner. I agree with you Mary. My once loving husband decided he wants out of our 33 year marriage. He treats me like I am evil personified and I am only out to 'get' him. I am disabled, and have been for almost 20 years. After D-day, my husband promised to 'make things right'...needless to say, that was another lie. He was never remorseful, even acted like I was crazy because I would not 'let it go'. He totally ignored our son during his 2 year affair, and now doesn't understand why our now teenage son doesn't want anything to do with him. I would love to see more articles for those of us who have been abandoned by our cheating spouses. They leave us with many unanswered questions and seem to think we don't deserve so much as an apology, much less be remorseful. The pain is extreme. Susan Anderson is a therapist who has written some great books about abandonment. I got a lot out of them. Especially the grief cycle of abandonemnt which is different than normal grief. The stages are: 1. Shattered, withdrawal, Rage, Internalizing and lifting. i'll talk to rick and see what he says or what he can suggest. we're always open to wanting to help our clients and participants as best we can and you make an interesting obvservation for sure on what we could do better at. I completely agree with Mary. I really have not read a lot on what to do and how to handle a lack of remorse, no responsibility for the affair and becoming unrecognizable. My spouse that i knew and loved has died. I do not recognize this person I am still married but struggling to get divorced. We live in two different countries and my life since discovery has been a complete hell. We were married for 26 years, still are actually. I am stuck in between wanting desperately to reconcile and knowing that is not going to happen. To see advice on circumstances of this nature would be helpful. I am literally at my wits end. I am broken. My life is broken. How can the recovery process begin or happen for me? it's a good point. i'll see what Rick can do and what we can provide for perspective. I betrayed my husband (most of what I read is from the unfaithful husband) and he is the ambivalent one. I would love to hear more from an unfaithful woman's perspective. No one I've talked to seems to understand what we're going through. Everyday is different, my husband has days he can speak to me, more in which he can't even stand my presence. He's mostly quiet and sometimes mean and sarcastic, throwing the many details he knows now about my affair right in my face. He hasn't left me and I'm lucky he's even stuck by my side this long. He tells me he doesn't like me, hasn't and won't ever forgive me because he doesn't have to, and that his love is hanging on by a thread right now. His anger and resentment seem to only be getting worse while I do my best to be better every day... I'm sustaining us financially right now, I take care of everything in the household and our newborn son (which is another layer of added resentment), I tell him how sorry I am, how much I love him, and I've told him everything about my affair though I had lied for 5 months about it. I could desperately use some guidance and access to a support group/person. I'm also struggling with even forgiving/loving myself.